Per the MySQL Support Lifecycle policy regarding ending support for OS versions that are obsolete, have reached end of life, or have little usage pattern, we plan to discontinue building all MySQL binaries for SUSE Enterprise Linux v11 on March 31, 2019. Per Oracle's Lifetime Support policy, as of January 31, 2019, MySQL Connector/NET 6.x is covered under Oracle Sustaining Support. Users are encouraged to upgrade to MySQL Connector/NET 8.0. Per the MySQL Enterprise Monitor Lifecycle policy of supporting the two most recent major GA releases, MySQL Enterprise Monitor 3.4 has reached its end of life with the GA announcement of MySQL Enterprise Monitor 8.0. Per Oracle's Lifetime Support policy, as of December 31, 2018, MySQL 5.5 is covered under Oracle Sustaining Support. Users are encouraged to upgrade to MySQL 8.0. Per Oracle's Lifetime Support policy, as of January 8, 2019, MySQLConnector/Python 2.x is covered under Oracle Sustaining Support. Users are encouraged to upgrade to Connector/Python 8.0. Per the MySQL Support Lifecycle policy regarding ending support for OS versions that have reached end of life, we plan to discontinue building all MySQL binaries for the Fedora 27 platform as of November 30, 2018. Per Oracle's Lifetime Support policy, as of November 26th, 2018, MySQL Router 2.x is covered under Oracle Sustaining Support. Users are encouraged to upgrade to MySQL Router 8.0. Per Oracle's Lifetime Support policy, as of November 26th, 2018, MySQL Shell 1.x is covered under Oracle Sustaining Support. Users are encouraged to upgrade to MySQL Shell 8.0. Due to very low demand, MySQL has stopped development and support for MySQL 5.6 on macOS. Users of macOS are requested to upgrade to recent versions of MySQL. Source and binaries for previously released versions will continue to be available from the archives. Per the MySQL Enterprise Monitor Lifecycle policy of supporting the three most recent GA releases, MySQL Enterprise Monitor 3.1, 3.2 and 3.3 have reached end of life with the GA announcement of MySQL Enterprise Monitor 4.0. Per the MySQL Support Lifecycle policy regarding ending support for OS versions that have reached end of life, we plan to discontinue building all MySQL binaries for Debian 7 as of May 31, 2018. Per Oracle's Lifetime Support policy, as of May 30, 2018, MySQL Utilities is covered under Oracle Sustaining Support. Users are encouraged to migrate to MySQL Shell. Per the MySQL Support Lifecycle policy regarding ending support for OS versions that have reached end of life, we plan to discontinue building all MySQL binaries for the Fedora 26 platform as of May 29, 2018. Per the MySQL Support Lifecycle policy regarding ending support for OS versions that are obsolete or have reached end of life, we plan to discontinue building all MySQL binaries for Microsoft Windows 8 as of April 11, 2018. Per the MySQL Support Lifecycle policy regarding ending support for OS versions that have reached end of life, we plan to discontinue building all MySQL binaries for the Fedora 25 platform as of December 12, 2017. Due to very low demand, MySQL has stopped development and support for Mac OS X 10.11. Users are requested to upgrade to recent versions of OS X. Source and binaries for previously released versions will continue to be available from the archives. Per the MySQL Support Lifecycle policy regarding ending support for OS versions that have reached end of life, we plan to discontinue building all MySQL binaries for the Fedora 24 platform as of August 8, 2017. Per Oracle's Lifetime Support policy, as of July 6, 2017, MySQL Fabric is covered under Oracle Sustaining Support. Users are encouraged to migrate to MySQL InnoDB Cluster. Per the MySQL Support Lifecycle policy regarding ending support for OS versions that are obsolete or have reached end of life, we plan to discontinue building all MySQL binaries for Ubuntu 12.04 as of April 28, 2017. Per the MySQL Support Lifecycle policy regarding ending support for OS versions that are obsolete or have reached end of life, we plan to discontinue building all MySQL binaries for Red Hat Enterprise Linux v5, Oracle Linux 5 and CentOS v5 as of April 30, 2017. Per the MySQL Support Lifecycle policy regarding ending support for OS versions that are obsolete, or have reached end of life, or have little usage pattern, we plan to discontinue building all MySQL binaries for FreeBSD v10 platform as of April 10, 2017. Per the MySQL Support Lifecycle policy regarding ending support for OS versions that have reached end of life, we plan to discontinue building all MySQL binaries for the Fedora 23 platform as of December 20, 2016. Due to very low demand, MySQL has stopped development and support for Mac OS X 10.9, 10.10. Users are requested to upgrade to recent versions of OS X. Source and binaries for previously released versions will continue to be available from the archives. Per the MySQL Enterprise Monitor Lifecycle policy of supporting the three most recent GA releases, MySQL Enterprise Monitor 3.0 has reached end of life with the GA announcement of MySQL Enterprise Monitor 3.3. Per the MySQL Support Lifecycle policy regarding ending support for OS versions that have reached end of life, we plan to discontinue building all MySQL binaries for the Fedora 22 platform as of July 19, 2016. Due to very low demand, MySQL has stopped development and support for Mac OS X 10.8. Users are requested to upgrade to recent versions of OS X (10.9+). Source and binaries for previously released versions will continue to be available from the archives. Per the MySQL Support Lifecycle policy regarding ending support for OS versions that have reached end of life, we plan to discontinue building all MySQL binaries for the Fedora 21 platform as of December 1, 2015. Per the MySQL Enterprise Monitor Lifecycle policy of supporting the two most recent GA releases, MySQL Enterprise Monitor 2.3 has reached end of life with the GA announcement of MySQL Enterprise Monitor 3.1. Per the MySQL Support Lifecycle policy regarding ending support for OS versions that are obsolete or have reached end of life, we plan to discontinue building all MySQL binaries for Microsoft Windows Vista as of August 21, 2015. Per the MySQL Support Lifecycle policy regarding ending support for OS versions that are obsolete, or have reached end of life, or have little usage pattern, we plan to discontinue building all MySQL binaries for FreeBSD v8, v9 platform as of August 31, 2015. Per the MySQL Support Lifecycle policy regarding ending support for OS versions that have reached end of life, we plan to discontinue building all MySQL binaries for the Fedora 20 platform as of June 23, 2015. Per the MySQL Support Lifecycle policy regarding ending support for OS versions that have reached end of life, we plan to discontinue building all MySQL binaries for the Fedora 19 platform as of January 6, 2015. Due to very low demand, MySQL has stopped development and support for Mac OS X 10.6, and 10.7. Users are requested to upgrade to recent versions of OS X (10.8+). Source and binaries for previously released versions will continue to be available from the archives. Per the MySQL Support Lifecycle policy regarding ending support for OS versions that have reached end of life, we plan to discontinue building all MySQL binaries for the Fedora 18 platform as of January 14, 2014. Per Oracle's Lifetime Support policy, as of December 31, 2013, MySQL 5.1 is covered under Oracle Sustaining Support. Users are encouraged to upgrade to MySQL 5.6. Per the MySQL Support Lifecycle policy regarding ending support for OS versions that are obsolete, have reached end of life, or have little usage pattern, we plan to discontinue building all MySQL binaries for SUSE Enterprise Linux v10 on September 30, 2013. Per the MySQL Support Lifecycle policy regarding ending support for OS versions that are obsolete, have reached end of life, or have little usage pattern, we plan to discontinue building all MySQL binaries for the following platforms. As of February 5, 2013, the following platforms are EOL. As of January 7, 2013, the following platforms are EOL. Red Hat announced version 3 has past "End of Production 3 End of Regular Life Cycle" as of Oct 31, 2010 (https://access.redhat.com/support/policy/updates/errata/). Red Hat announced version 4 has past "End of Production 3 End of Regular Life Cycle" as of Feb 29, 2012 (https://access.redhat.com/support/policy/updates/errata/). Source and binaries for previously released versions will continue to be available from archives. MySQL will continue to provide commercial support for existing customers in accordance with Oracle's Lifetime Support Policy. 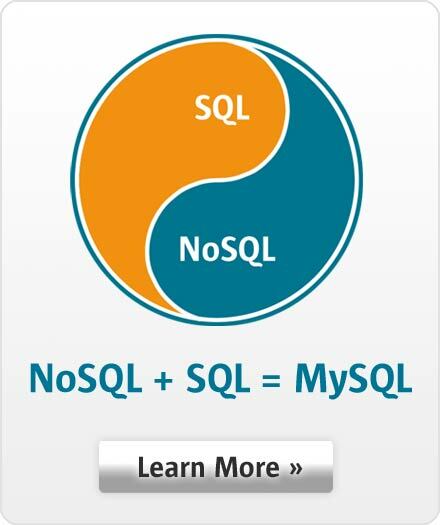 As always, thanks for your continued support of MySQL! Due to very low demand, MySQL has stopped development and support for Connector/MXJ. Source and binaries for previously released versions will continue to be available from archives. MySQL Connector/NET 6.5 was released for General Availability on March 8, 2012. Support for MySQL Connector/NET 6.3 has now ended. Current Connector/NET 6.3 users are encouraged to upgrade to Connector/NET 6.5 for the most current feature set and bug fixes. Per Oracle's Lifetime Support policy, MySQL 5.0 is now covered under Oracle Sustaining Support. Users are encouraged to upgrade to MySQL 5.5. Due to very low demand, MySQL will discontinue support for Intel Itanium (IA64) on April 30, 2011. MySQL will continue to provide commercial support for existing customers on Itanium-based servers in accordance with Oracle's Lifetime Support Policy. Per the Oracle/MySQL Support Lifecycle policy regarding ending support for OS versions that are obsolete, have reached end of life, or have little usage pattern, we plan to discontinue building MySQL Enterprise Monitor agent binaries for the following platforms. Due to very low demand and according to IBM an April-2011 EOM (see http://www-01.ibm.com/software/support/lifecycleapp/PLCDetail.wss?synkey=E275996K38397L94-J526041L68492N04-Q513879J82296G35) this distribution has been dropped. Due to very low demand and according to IBM a 5.4 Jan-07-2011 EOM (see http://www-947.ibm.com/systems/support/i/planning/upgrade/suptschedule.html) these distributions have been dropped. Per the MySQL Support Lifecycle policy regarding ending support for OS versions that are obsolete or have reached end of life, we plan to discontinue building all MySQL binaries for Microsoft Windows 2000 as of January 6, 2011. According to Microsoft, extended support for Windows 2000 ended July 13, 2010. As of January 1, 2011, these platforms will no longer be supported for MySQL versions 5.0 and higher. According to Redhat version 3 is has past "End of Production 3 End of Regular Life Cycle" as of Oct 31, 2010 (see https://access.redhat.com/support/policy/updates/errata/). Due to low demand the general Linux RPM distribution created with the icc Intel compiler has been dropped. Note: The gcc build is the preferred alternative. Our platform support continues to evolve and we recently added following platforms to our officially supported list. Old releases for the EOLed platforms listed above remain available for download and we will continue to provide source code and limited support for customers who wish to build MySQL 5.1 and higher on these platforms. Please see the MySQL Support Policies for more information. Per the MySQL Support Lifecycle policy regarding ending support for OS versions that are obsolete or have reached end of life, we plan to discontinue building all MySQL binaries for FreeBSD 6 as of 2010-Nov-30. According to the FreeBSD Organization support for the FreeBSD 6.x stable branch will also cease on November 30, 2010. Our platform support continues to evolve and as such we are also adding Debian 5 to our officially supported platform list. Per the MySQL Support Lifecycle policy regarding ending support for OS versions that have little usage pattern, we plan to discontinue building all MySQL binaries for the following platforms. As of February 1, 2010, these platforms will no longer be supported for MySQL versions 5.0 and higher. Due to very low demand this general Linux distribution has been dropped. Due to low demand and technical issues the general Linux RPM distribution created with the icc Intel compiler has been dropped. Note: The gcc build for Itanium is recommended as the preferred alternative. Old releases for the EOLed platforms listed above remain available for download from the MySQL Customer Support Center and we will continue to provide source code and limited support for customers who wish to build MySQL 5.0 and higher on these platforms. Please see the MySQL Support Policies for more information. Per the MySQL Support Lifecycle policy, extended support for MySQL 4.1 ended on December 31, 2009. MySQL users are encouraged to upgrade to a current production release of MySQL. Customers needing upgrade assisitance should contact MySQL Support. Please see the MySQL Support Lifecycle policy for more information. Per the MySQL Support Lifecycle policy, active support for MySQL 5.0 ended on December 31, 2009. MySQL 5.0 is now in the Extended support phase. A future release of MySQL Workbench (post 5.2) will add a migration plugin, providing features comparable to the MySQL Migration Toolkit component of the MySQL GUI Tools Bundle. The MySQL Support team will continue to provide technical assistance for MySQL Migration Toolkit until such migration support functionality is released in MySQL Workbench, but no new development or bug fixes will be provided against the existing MySQL Migration Toolkit product. MySQL Support will continue to answer questions and provide assistance related to MySQL GUI Tools Bundle, as well as assist our customers in upgrading from those tools to MySQL Workbench 5.2 until June 30, 2010. Starting Dec 18, 2009, MySQL will no longer accept bug reports submitted against the MySQL GUI Tools Bundle, and existing bug reports against these tools will no longer be worked on. Users should instead download, use, and submit bug reports (where necessary) against MySQL Workbench. Downloads of the MySQL GUI Tools Bundle will remain available, but will be moved into the MySQL Archives location. Users should begin planning to upgrade to MySQL Workbench 5.2 GA. Per the MySQL Support Lifecycle policy regarding ending support for OS versions that have reached vendor end of life, we plan to discontinue building or supporting MySQL binaries for AIX 5.2 as of 2009-April-30. See IBM EOS (End of Support). Per the MySQL Support Lifecycle policy, extended support for MySQL 4.0 ends on December 31, 2008. MySQL users are encouraged to upgrade to a current production release of MySQL. Customers needing upgrade assisitance should contact MySQL Support. Per the MySQL Support Lifecycle policy regarding ending support for OS versions that have reached vendor end of life or that have little to no usage pattern, we plan to discontinue building all MySQL binaries for version 4.1 effective 2008-Dec-31 and version 5.0 effective 2009-Dec-31 for the following OS versions. These OS versions will not be supported for MySQL versions 5.1 and higher. We will continue to provide source code and support for customers who wish to build MySQL 4.1 and higher on these and other specific OS versions. Please see the MySQL Support Policies for more information.